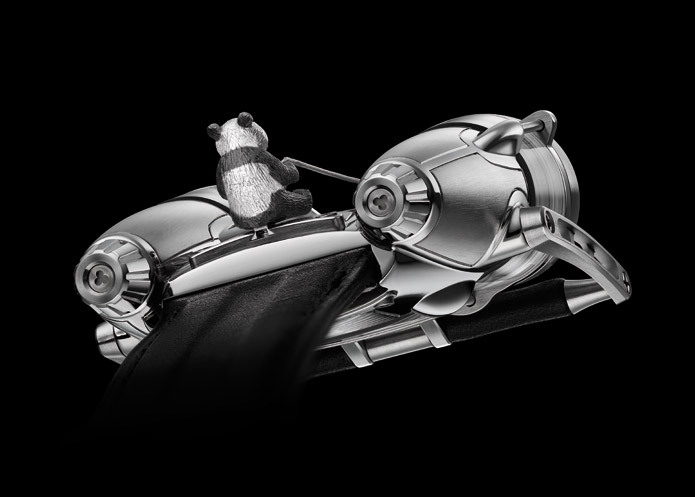 Swiss luxury watch brand MB&F, in collaboration with Chinese artist Huang Hankang, unveils a unique HM4 timepiece dedicated Only Watch charity auction of this year.The HM4 Only Watch featuring a miniature flying panda bear, will be auctioned at Only Watch, the charity auction to benefit research into duchenne muscular dystrophy, which will be held in Monaco on the 22nd of September 2011 under the patronage of HSH Prince Albert II. 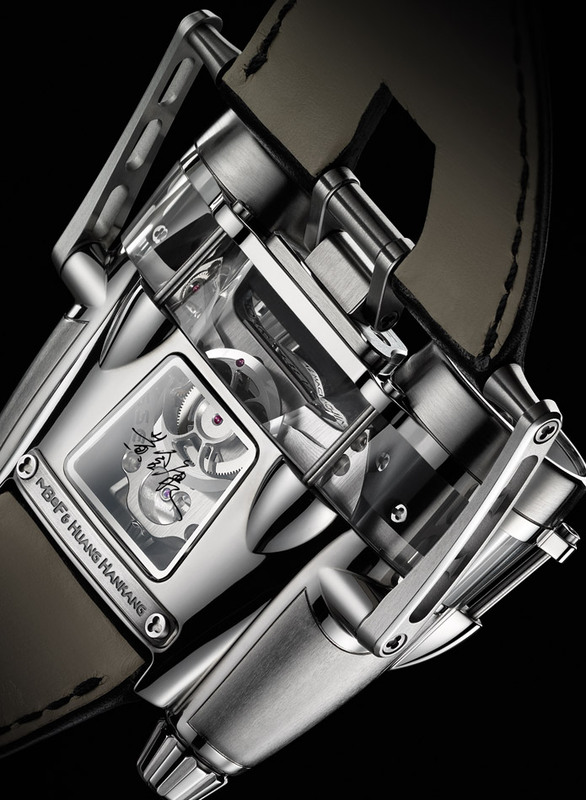 Features: A detachable 18k gold panda and reins on top of Horological Machine No4 with the signature of the artist, Huang Hankang, on the sapphire glass display panel. Huang uses art as a method of communication to spread his message to a broader public. 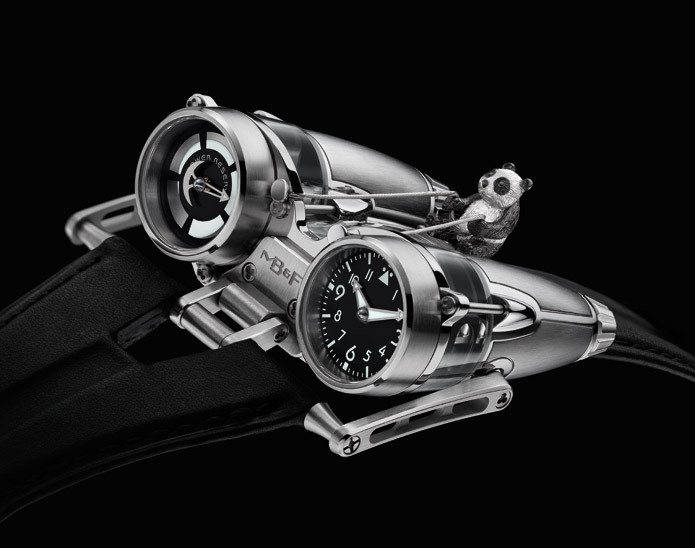 The Only Watch project with MB&F provided an unusual horological canvas on which to “paint” his message; however, he jumped at the opportunity upon discovering that MB&F’s Horological Machines are closer to art than to watchmaking and are as much products of Maximilian Büsser’s fertile imagination as Huang’s paintings are to his own imagination.